Every year on March 22nd the United Nations calls for the world to join together for World Water Day, a day dedicated to highlighting the global water crisis, increasing awareness of the problem, and celebrating the steps we are taking to create change. 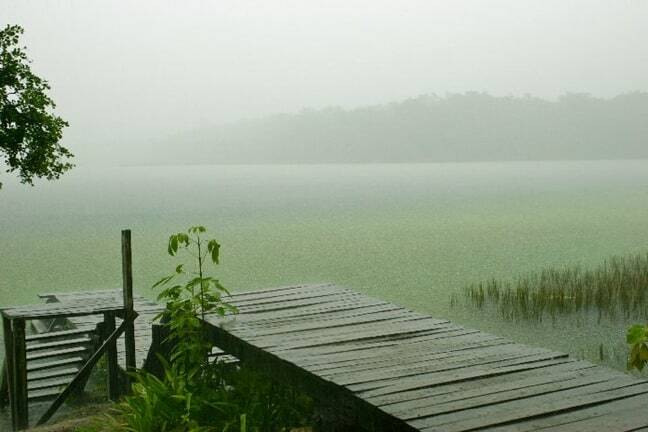 Less than 1% of the world’s water can be used by humans for their needs. As the global population increases, so does demand. One of the simplest ways we can do this in our everyday lives is by creating a simple DIY Rainwater Harvesting System that allows us to collect rainwater for use on our lawns and gardens. A metal, plastic or even wooden barrel can be used for your rainwater harvesting system. Choose the material you think is going to last longest in the environment you live in, but heavy duty plastic is typically the most durable. You can buy these kinds of barrels at larger hardware stores or garden centers, but commercial car washes or food service companies may have barrels available more cheaply. Just make sure to wash them thoroughly before using. Normal size for a domestic rainwater harvesting system is 50-60 gallons. 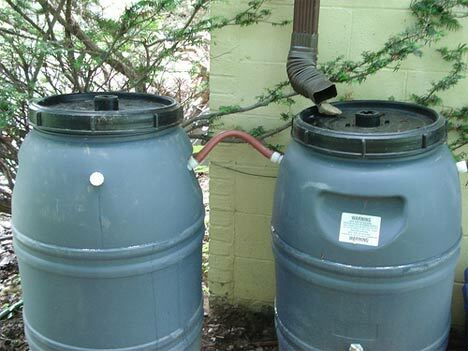 If you live in an area with higher rainfall, consider setting up two connected barrels to collect as much rain as possible. Your barrel will need to be placed on a hard surface that won’t crush under the weight when it’s full: Cinder blocks or concrete bricks are good options. The higher you elevate your barrel, the higher the water pressure will be when you empty it. The size of the tools and materials needed will depend on the size of your system. But to make your own DIY Rainwater Harvesting System you will need a spigot or faucet, some hose, a wrench, a jigsaw, a hose adaptor, and some mesh for a filter. Some step-by-step guides for making more complicated systems will call for other materials, but these are your minimum basics. Most rainwater harvesting systems work best under the gutters of your house. You can either place the barrels right under the existing pipes, or add an extra length of pipe to connect the two directly, which means that every ounce of water will be collected. You will want to direct the water from the area of your roof where the optimal amount of rain runs off, and obviously slanting roofs are better. 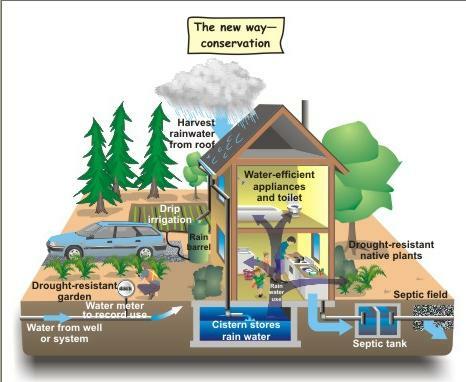 Your need for a filter for your rainwater harvesting system depends on how clean you want your water to be. But most systems at least have something to remove bigger debris, such as sticks and leaves. You’ll want to attach some mesh screen to the top of the barrel to remove any unwanted substances: The finer the mesh, the cleaner the water. Some systems also run the water through gravel to really clean it up, which can get rid of the things that could erode your barrel over time, like mold or algae. If there are mosquitos in your area, be very careful to build a rainwater harvesting system that is at closed as possible, otherwise you could create a mosquito breeding ground. Certain types of lizards and frogs love stagnant water, so, if in doubt, seal it up! Barrels with lids also eliminate the risk of anything falling in and drowning, like birds or squirrels. In order to have the option of stoppng and starting the water flow from your catchment systeem, you’re going to need a spigot on the bottom of the barrel. These can either be metal or plastic, but make sure the tap is designed with a hose attachment, so you can water your garden directly from the barrel. Not only will this DIY Rainwater Harvesting System help your flowers and vegetables grow, but it will keep a bit more green in your wallet as well!